Music Director at Community Unitarian Universalist Congregation since 1990, Adam Kent has performed in recital, as soloist with orchestra, and in chamber music throughout the United States, Spain, Switzerland, and South America. 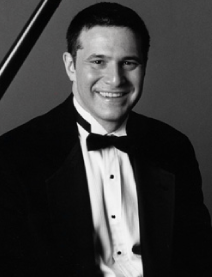 A winner of the American Pianists Association Fellowship and Simone Belsky Music Awards, Dr. Kent also received top prizes in the Thomas Richner, the Juilliard Concerto, and the Kosciuszko Foundation Chopin Competitions and is a recipient of the Arthur Rubinstein Prize and the Harold Bauer Award. Dr. Kent made his New York recital debut at Weill Recital Hall in 1989 and has been featured on radio stations WQXR, WNYC, and WFUV. 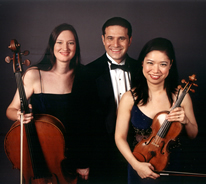 Chamber music has been an important part of Dr. Kent’s concert life, most notably with the Damocles Trio which he co-founded in 1996 with violinist Airi Yoshioka and cellist Sibylle Johner. The group has performed both in the United States and abroad, appearing at Alice Tully Hall and presenting several programs at Merkin Concert Hall. In 2004, their recording of Joaquín Turina's complete piano trios and quartet with Emerson Quartet violist Lawrence Dutton was released by Claves Records, which will also issue the trio’s two-cd set of piano trios from Brazil in 2008. Spanish music has been a specialty of Dr. Kent’s, who has offered several all-Spanish programs at Weill Recital Hall at Carnegie Hall, Merkin Concert Hall, the Indianapolis Museum of Art, the Spanish Institute, the University of Vermont at Burlington, Twin Cities Concert Association of California, the Queens Museum, and Bruno Walter Auditorium in New York City, all in the last few seasons. A performance of Book I of Albéniz’ Iberia suite was praised in the Indianapolis Star as “Albénizian to the core...his suave legato touch wedded to a tone with an Old World patina about it,” and Excelsior of Mexico City enthused about a recent all-Halffter recital, “Adam Kent brought not only magnificent technical ability to the music, but managed to go beyond the printed page, delving into the essence of what the composer sought to express.” Many of his endeavors have won the support of the Spanish Consulate, Instituto Cervantes, and the King Juan Carlos I of Spain Center at NYU, and his critically acclaimed recording of the complete solo piano music of Ernesto Halffter is available on Bridge Records. Dr. Kent has lectured on Spanish music at The Juilliard School, the Mannes College of Music, SUNY Purchase, and the Foundation for Iberian Music at the CUNY Graduate Center, where he presented the inaugural lecture-recital on Enrique Granados in honor of Alicia de Larrocha. He has also developed "Spanish Music: A History," a course offered by Instituto Cervantes of New York. With the Damocles Trio and Spanish composer and conductor Salvador Brotons, Dr. Kent directed and participated in “Música por doquier/Hispanic Music Everywhere,” a year-long celebration of Spanish and Latin-American in NYC in 2004 underwritten by the Spanish Ministerio de Educación, Cultura y Deporte, featuring concerts, master classes, panel discussions, and premieres of newly commissioned works. Recent performances have included a series of solo and chamber music performances at BargeMusic, appearances with the Charlotte Symphony Orchestra of Florida and the Westchester Chamber Orchestra, solo and chamber music performances at the Burgos International Music Festival in Spain, a recital at the Spanish Music Festival of Leon, Spain, several live broadcasts on WQXR radio, a series of all-Spanish programs sponsored by the Spanish Consulate at Weill Recital Hall at Carnegie Hall, concerts with the Damocles Trio in California, and performances at the Long Island Beethoven Festival. Adam Kent’s live performance of Granados’s music on WNYC’s “Soundcheck” was also recently rebroadcast as one of the series’ best performances in 2006. Visit www.damoclestrio.com for more information. Dr. Kent received a D.M.A. from The Juilliard School, where he studied with Jerome Lowenthal and served as an adjunct professor. His dissertation, “The Use of Catalan Folk Materials in the Works of Federico Mompou and Joaquín Nin-Culmell,” was awarded the school’s Richard F. French Prize, and his writings have appeared in Clavier and Music in Art magazines and in a Spanish-language monograph on Xavier Montsalvatge published by the Spanish Society of Authors and Editors. He holds B.M. and M.M. degrees from the Manhattan School of Music, where he studied with Solomon Mikowsky. Currently, Dr. Kent serves on the faculty of the Manhattan School of Music Precollege Division and has been an assistant adjunct professor of piano at Brooklyn College since January, 2008. Lisa N. Meyer, Conductor and Soprano, has been an active professional musician in the Metropolitan Area as a soloist, conductor, choral singer, and teacher for many years. She obtained her undergraduate and graduate degrees in music at the C.W. Post Campus of Long Island University and has conducted choirs in South Korea, Italy, England, Wales, Scotland, and Canada as well as the United States. 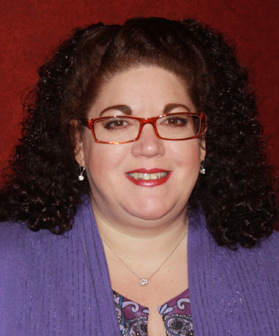 Over the years, Ms. Meyer has also worked extensively with children’s choirs in the New York-Metropolitan area. She has been a participant in the Westminster Choir College Choral Institute, working with such esteemed choral directors as Weston Noble, James Jordan and Bruce Chamberlain to great acclaim. Ms. Meyer has performed as a solo vocalist with the Manhattan Choral Festival, the Brooklyn College Choir, the Long Island University Chorus, the Choral Symphony Society of New York, the Brooklyn Philharmonia Chorus, the professional choir at St. Bartholomew's Church in Manhattan and on the Music At CUC Concert Series in White Plains. She has worked with many esteemed composers and performers over the years including Peter Schickele, Ward Swingle, Dave Brubek, and Ned Rorem. Ms. Meyer works occasionally with noted lutenist and guitarist Harris Becker, performing repertoire from the Renaissance through the 20th Century. They present concerts in the Metropolitan Area and have toured the southeast area of Canada as well as Ireland, England, and Italy. Ms. Meyer has been a member of the esteemed professional choir, The Gregg Smith Singers, with which she extensively toured the United States and Europe. She has also been a member of the elite women’s choir, The New York Treble Singers, and spent many years as a member of the professional choir of Saint Bartholomew’s Church of Manhattan with which she still occasionally performs. Since 2001, Ms. Meyer has been the Choir Director at Community Unitarian Universalist Congregation at White Plains (CUUC). She assisted in the creation of the annual Music at CUUC Concert Series which features 6 to 7 concerts per season including two performances by the CUUC Choir. Under Ms. Meyer’s direction, the choir has performed such works as Vivaldi’s Gloria, Handel’s Messiah, Britten’s Ceremony of Carols, and Fauré’s Cantique de Jean Racine as well as various American folk songs, spirituals, sacred standards, and contemporary pieces. The CUUC Choir recorded their first CD containing a variety of secular and sacred pieces that have been favorites in the repertoire for the past several years. The CD has been well received and, soon, samples of some of the tracks may be heard on the CUUC Choir page of this web site. Ms. Meyer works as the Production Coordinator for the Department of Music and as an adjunct professor in Arts Management at the C. W. Post Campus of Long Island University. She also maintains a private studio of voice, piano, and guitar students. Born and raised in the NY Metro area, played piano since 5 years old and gave her first solo recital at 14 years old, educated at Manhattan School of Music Preparatory Division and Hunter College in NYC, graduated with a BA in Music. Has worked and performed in various venues, from opera rehearsal work, chamber music and art song concerts, improvisational concerts to writing and performing songs for a musical theater piece, Hot Flashes and accompanying singers in cabaret settings. Participated in and led workshops in music improvisation for all ages, including a graduate level MBA program at Fordham University. Performed in chamber music concerts and performed Beethoven's Third Piano Concerto with the Bronx Symphony Orchestra. Chorus master and rehearsal pianist for New Rochelle Opera. Played for and worked with 'young' opera groups, such as Harbor Opera, a group dedicated to performing new works or lesser known works of well known composers. Musical Director of the Wyckoff Family YMCA Theater Arts program. Performances included Scrooge, Beauty and the Beast, The King and I, the Wizard of Oz, Annie,The Sound of Music, Miracle On 34th Street, and The Music Man, Seussical, Willy Wonka, and currently Peter Pan. Musical director/conductor of the Y Arts Opera productions which include Gianni Schicchi, The Barber of Seville, Suor Angelica, Pagliacci, Hansel and Gretel. Also, the 'creator' and music director of the Y Singers, and the Y Glee Club. Teacher of private piano lessons, and group music classes involving the 'wholistic' musical ideas of Emile Dalcroze. Ongoing creative endeavours include choral arranging and music improvisation at the piano. Firmly committed to the idea that music is for everyone and that it’s never too late, whether it be singing or learning an instrument.